In a technological world that increasingly puts a premium on time savings and consolidation, the ability to deploy software installs to multiple computers all at once is key. Read on to discover how to implement this helpful tool. The importance of exceptional managed IT services can’t be understated. It’s highly beneficial to hire an IT company to deploy updates for you instead of wasting your time doing it yourself. Contact Tribus Computer today to see how we can help you. 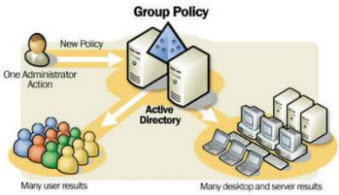 With Group Policy, you can control the working environment of user accounts and computer accounts with centralized management and configuration of operating systems, applications, and users’ settings in an office environment. Let’s look at how to deploy software installs to multiple computers all at once in three simple steps using Group Policy, with help from wondershare. Group Policy is a helpful way to deploy software installs to multiple computers all at once. Begin by creating a distribution point by logging in as administrator and putting the installer package in a shared network folder. You also have to set permissions for the share. Next, you will have to activate Directory Users and Computers and create a new policy by accessing Group Policy tab. Click “Create a GPO in this domain, and link it here…” under the domain name, then create a new policy name, save it and access Security from Properties option. Set the necessary policies and click OK. Select “Edit” under the name you just entered in Group Policy and go to Software settings under Computer Configuration. Next, set the path of the installer package by typing the Universal Naming Convention (UNC). Click on “Software Installation” > “New“ > “Package” to browse and select the software package. The package will be listed on the right side of Group Policy interface. Close the Group Policy and Active Directory Users tab to exit. When the targeted computers are switched on, the software will start installing automatically. For more on this process, here’s a Group Policy for Beginners Guide from Microsoft. Learning how to deploy software installs to multiple computers all at once is important for business efficiency. Here’s the thing – without a sufficient amount of expertise and training, accomplishing an IT task like the one above can be a challenge for those of you who are keeping your office computers running. In today’s rapidly changing technical environment, you may find yourself struggling to keep pace with change or spending more time focused on your back office than your clients. You may also be wondering what ”doing it yourself” is actually costing you versus saving you, and what it would be like to simply pick up the phone when you have a problem and have someone else fix it. If so, you should check out our “Guide to Finding the Ultimate Computer Support and Services” and contact Tribus Computer to assist with all your IT needs. 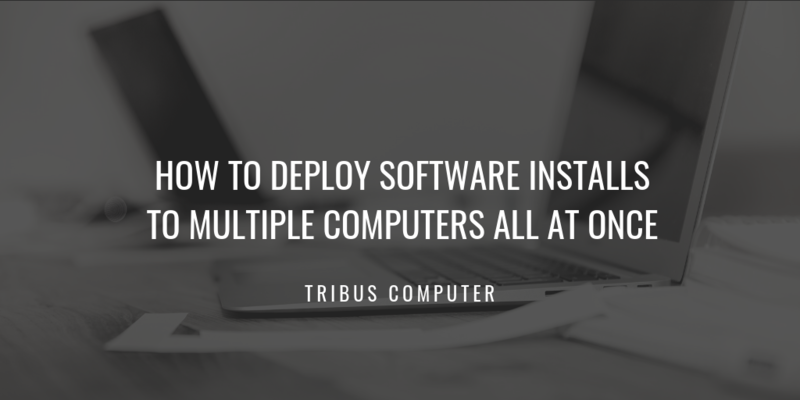 At Tribus Computer, we have an established network of computer technicians available to assist you in your “end to end” computer needs, including the ability to deploy software installs to multiple computers all at once. From the design, to the purchase, to the installation support, Tribus can let you “get back to business” while looking after your back office for you.